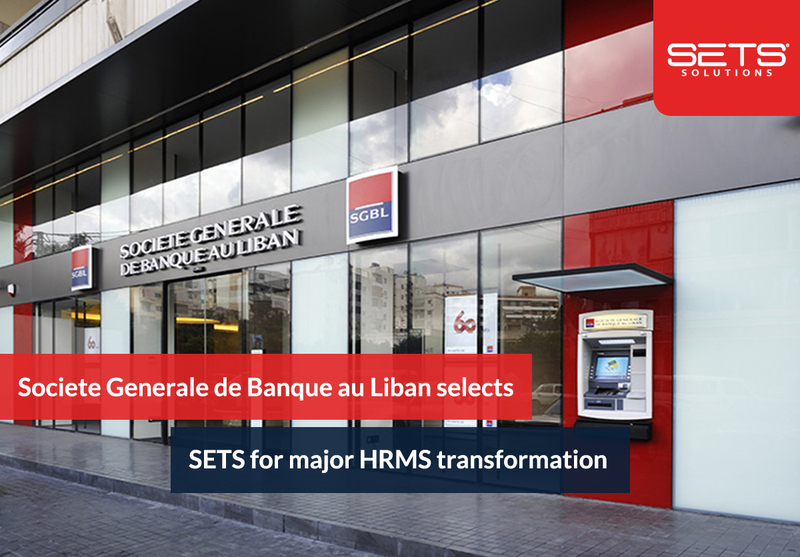 SETS, the leading provider of Human Resources Management System (HRMS), announced today that Societe Generale de Banque au Liban, a leading bank in Lebanon and the Levant, has selected the Time Attendance and Payroll modules from People 365 to automate its HR processes. SGBL operates in retail, corporate, investment and private banking services through 70 branches and 1,500 employees in Lebanon. Having more than 20 years of experience in the HRMS industry and 37 references in the local banking sector, SETS will be offering SGBL a mature and flexible solution that is fully compliant with BDL, ABL and NSSF regulations to support the bank in automating and simplifying the management of its HR activities. SGBL team and SETS’ qualified consultants engaged through a series of consultancy workshops prior to signature to identify the bank’s needs based on SETS know-how in implementing such large-scale banking projects. Through this exercise, SETS was able to narrow down these needs and deliver the value SGBL was looking for to drive its vision.